Photos provided by the candidate. Why do you want to be the next Student Advocate General? I want to be the next Student Advocate General because I really love helping students. My sophomore year when I first applied for the office, I applied with just the interest, you know, “I haven’t really done anything my freshman year. I want to get involved some way.” I thought I wanted to go to law school and so I applied for the Office of the Student Advocate. Little did I know that I was actually going to find what I considered the place for me. I build really strong relationships with the staff, and they’re all so friendly and I learn so much from all of them…I found that I was really good at what I did. I was able to help students, I was able to learn from everybody–the Student Advocate General, the Chief of Staff, even all my coworkers, the other caseworkers in the office. So I just really want to keep helping students in any way. I have some really great plans, things I’ve already started working on, since I have been working in the office for two years. Because I have been working in the office, I have seen how we have had some setbacks, like with the resignation of Bailey Loverin and we didn’t have a Student Advocate General during Fall quarter, so my coworker and I kind of acted as unofficial Student Advocate Generals. [We] kind of ran the office together, and that’s when I really learned what it took to be an executive. Then Ethan got elected and we have been working on some really great stuff, and I just really want to keep doing what I do. What should UCSB students know about the SAG position and its important functions? A lot of people have misconceptions of what our office actually does. Our office is special in a way that we are the only office that provides a direct service. Being that I’ve worked in the Office of the Student Advocate for two years and I have witnessed several different types of cases, and I know for a fact that our focus is mainly focused on helping students here at UCSB. Other exec offices, such as EVPSA, the president’s office, EVPLA, they focus on nationwide or state kind of affairs, tuition hikes, stuff like that…our office is more to hear and help the students here at UCSB, here on campus and into IV as well. So that’s something that a lot of people don’t know. I know this because that’s one of the things on my platform, actually, so I can outreach to people so they can know our office. I mean, our office is here to advocate for all the students at UCSB’s rights. People pay for our services in their tuition, so its really important for everybody to use us. Even if you just have one simple question, let’s say you’re not dealing with a case with judicial affairs, you haven’t been written up but you just want to know more about your rights as a student and stuff in the Student Code of Conduct, people can come in for that and all our work is confidential. So you don’t ever have to worry about coming into our office and having someone know that you actually came and asked for our services. Our caseworkers are non-biased. Our caseworkers are Safe-Zone trained and their non-biased, so you can come and even if you have your certain opinions, our caseworkers are trained to know that once they step into the Office of the Student Advocate, you take off your hat as a student and you’re just here for the student and you’re a worker and you’re a non-biased human. The office is nonpartisan, and you are there to listen to students and what they have to say. What are the biggest issues SAG will have to contend with next year and how do you plan to solve them? Like I already previously mentioned, with the resignation of Bailey Loverin Fall quarter, my coworker and I were unofficially active Student Advocate Generals, so [we] couldn’t make any policy changes. All we could really do was keep the casework going [and] make sure that we got the caseworkers trained. 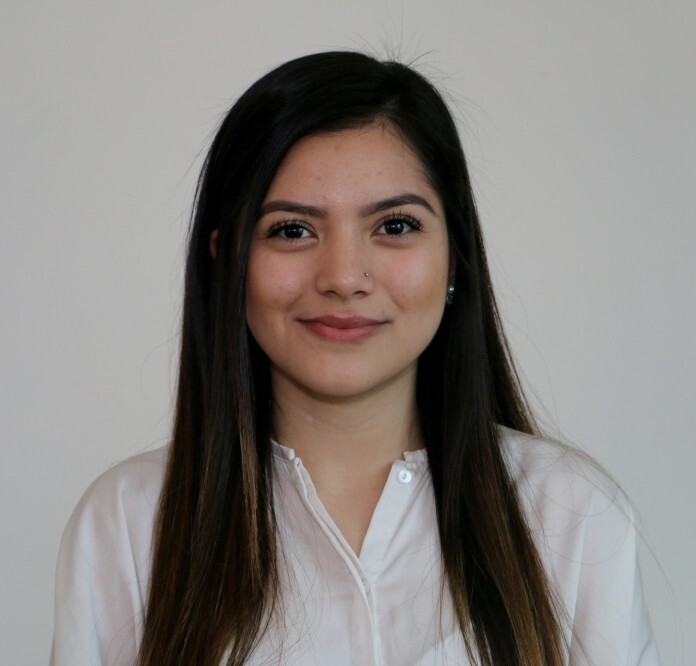 Because my coworker and I had worked in the office previously, we asked Marisela for her help and where we would train the caseworkers and the outreachers so we could keep providing the resource to students. That was the main thing, you know, just because we [didn’t] have an elected Student Advocate General at the moment doesn’t mean we [wouldn’t] keep providing the services to students. Students are paying for our services in their tuition and we should be a resource to them. Because Ethan was elected three weeks into Fall quarter, he has really only been in the office for three and a half months, which honestly isn’t enough time to make changes. So if people say that they haven’t really seen changes or they haven’t really seen things done, I don’t really think it’s his fault. That’s how you know that it takes a lot to be an executive and to make the changes. It takes a lot of time and a lot of preparation, and that’s one of the things that I feel that my experience comes in. Because I have worked in the office of the student advocate, I can pick up on the stuff that we have already started doing and stuff we have already started working on. So Kristian Wittaker [was] actually one of the ones [who started] the Legal Observers Program. When I worked for him my sophomore year, we kind of came up with that idea. Basically what it is is a non-biased third party being at events. It would be constructed of volunteers. So at events like concerts on campus, Deltopia, Extravaganza, because working in the Office of the Student Advocate we noticed that even this year we get a lot of clients who come in saying, “You know, this police report isn’t even right. There’s a lot of inaccurate information. My height’s not even right. This is not exactly how it went down.” So we have a non-biased third party that can actually vouch for you and say “I was there, I witnessed what happened, and here is my perspective from a non-biased third party of what I saw and what I witnessed.” That would be really helpful to students and I actually intern for the National Lawyers Guild, [which] has their own Legal Observers Program in LA. Since I intern them, I am already in communication with them, and I have been in in contact with them because we are trying to get the Legal Observers Program permanently installed at UCSB. They said that they would be more than willing to have our volunteers or just our staff to go down there and be trained by them or they would be more than glad to come up here. So once our caseworkers are trained then we can pick up volunteers and we can go from there. Once our caseworkers are trained, they can train the volunteers and every time we get new volunteers, our caseworkers and the Student Advocate General will just train them. So that’s one of the things that I feel is really essential because a lot of police abuse their power and there are some misconstrued things. Another thing that we kind of have been working on was finding spaces for our caseworkers in different [residence] halls and maybe somewhere in IV or the Pardall Center. Like I said, a lot of people don’t know about our office and that’s one of the biggest problems. So if we had our office implemented in different places on campus and out in IV, people who live all the way in San Cat don’t have to go all the way to the MCC to see us…There is no “I’ll get back to you later” [or] “Okay come back in an hour and I’ll have everything done.” A lot of clients don’t have that time. What I believe makes me the best candidate is the fact that I have had two years of experience over my opponent. My two years of experience I feel like make me very qualified and, I mean, the fact that I have acted as unofficial Student Advocate General is really big…The students advocate general isn’t trained. So just like all the other execs, you see us come in there and you try to do the best job that you can. I worked under Kristian Wittaker and partially Bailey and Ethan, so they all have different ways of dealing with the office, so I’ve really seen what works and what doesn’t work…When I worked under Kristian, we had divisions. This year, we don’t have divisions, and that’s something that Ethan and I, and my coworker Saiba, talked about for a while, not having divisions and seeing how it worked. And we actually saw that not having divisions is better than having divisions. When you have divisions, let’s say there is only an academic caseworker in the Office of the Student Advocate. If someone comes in with a financial issue, you say, “Okay, let me make you an appointment with the financial caseworker.” Students don’t have that time, like I said. So if you don’t have any divisions, and you train your caseworkers in all the areas in the Student Code of Conduct, people can get their help as soon as they walk into the office and through the door. I feel like having experience in the office is one of the things that’s really important, because like I said before, students come in an hour before their hearing and they want help right there and then. They don’t want to come back later. A lot of students come in really emotionally distressed, so you really have to be able to know how to deal with that. Working in the office for two years, I have seen tons of different kinds of students with tons of different kinds of emotions coming in. I’ve dealt with different cases, so I have a lot of knowledge of all the different areas and all the different scopes, academic, financial, anything like that, anything that falls under the Student Code of Conduct…I am always learning new things, which is a great part about the job. I know exactly how the office works, and the Student Advocate General should have lots of experience and that’s one thing I like to emphasize because they train the caseworkers. The caseworkers come to the Student Advocate Generals all the time and ask them questions [for help], so the Student Advocate General should have a lot of knowledge to be able to properly train their caseworkers. If your caseworkers don’t have to ask questions or if they don’t have to ask questions often, then you know you trained them well and that they know their stuff.